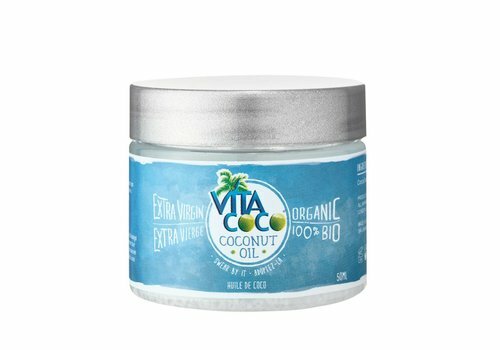 Buy Vita Coco coconut oil online at Boozyshop, the makeup webshop! Vita Coco in your kitchen or in the bathroom? Vita Coco is all about coconuts and has a delicious product; coconut oil. Very nice to use in the kitchen and great for baking. You make the tastiest muffins, best luck pancakes and a tropical cake with Vita Coco her coconut oil. Now you think that Boozyshop has extended its range to food ... Think again! Because Boozyshop does not use the coconut oil in the kitchen but as a care product. The coconut oil is in fact mega versatile. Coconut oil from Vita Coco is intensely nourishing for your hair and skin. The 100% organic cold-pressed, unrefined coconut oil is completely natural and therefore very good for you. Fluff hair, dry skin or rough lips are transformed and you will not recognize them anymore! Mike Kirban and Ira Liran know that a normal night out can be much more than just a fun night. In 2003 the friends met two ladies from Brazil. And there, Ira was so impressed that he later took the plane to Brazil. But once in Brazil, Ira not only found the ladies interesting, he also discovered 'agua de coco'. Now that Ira Mike had already given two reasons that he really needed to see in Brazil, he also came by. Not much later, Ira and Mike talked about bringing coconut water to the United States and the plans became more and more serious. Vita Coco is born! The very first coconut water from Vita Coco was produced and released in Brazil but soon followed the United States. And the coconut water became super popular! Because not only 'ordinary' people bought Vita Coco, even stars like Madonna and Rihanna are fans. The two friends could not have wished for a bigger or more successful breakthrough. But if coconut water is such a great success, it should not stay there! Coconuts can do much more. Vita Coco produced various types of coconut water (even with jab! ), Coconut milk in different flavors and Boozyshop her new favorite, coconut oil. Vita Coco her coconuts are on the way to conquer the world!